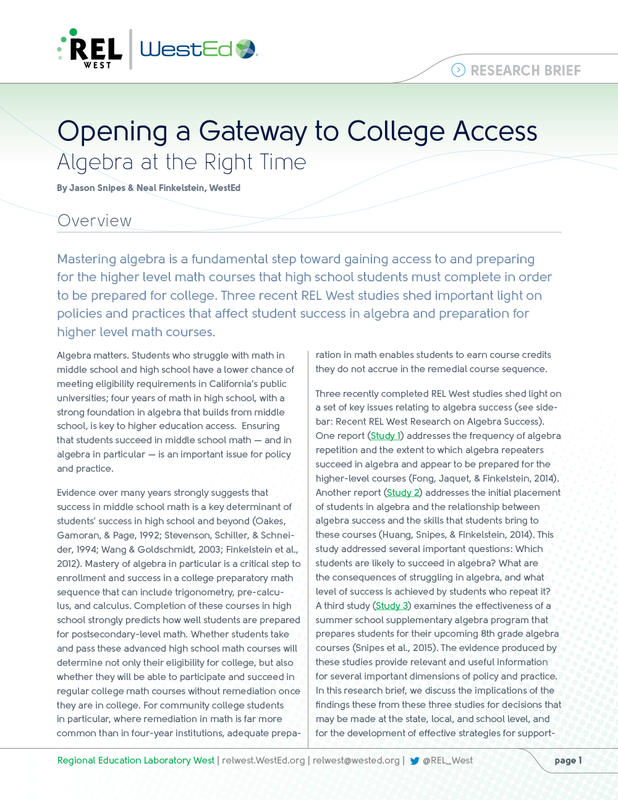 Four years of math in high school, with a strong foundation in algebra that builds from middle school, is key to higher education access. 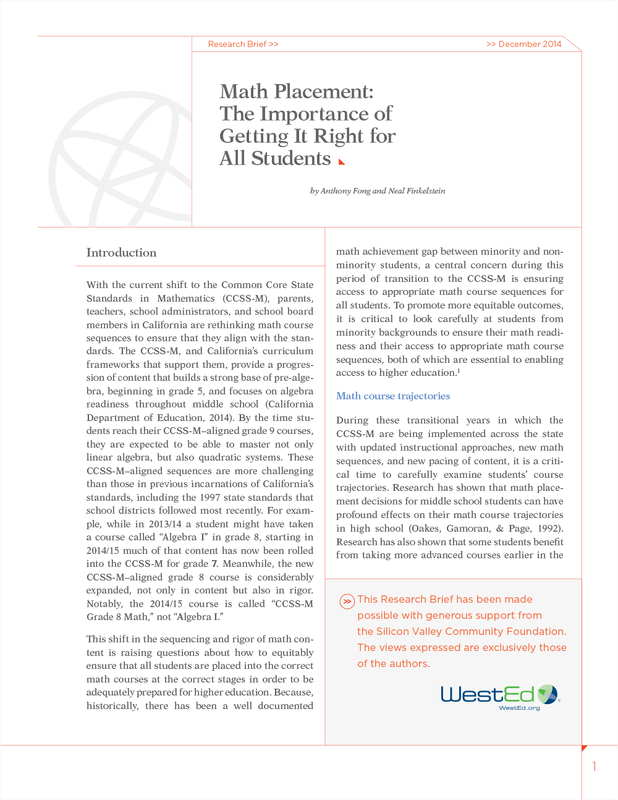 Therefore, ensuring that middle and high school students succeed in math — and in algebra in particular — is an important issue for policy and practice. 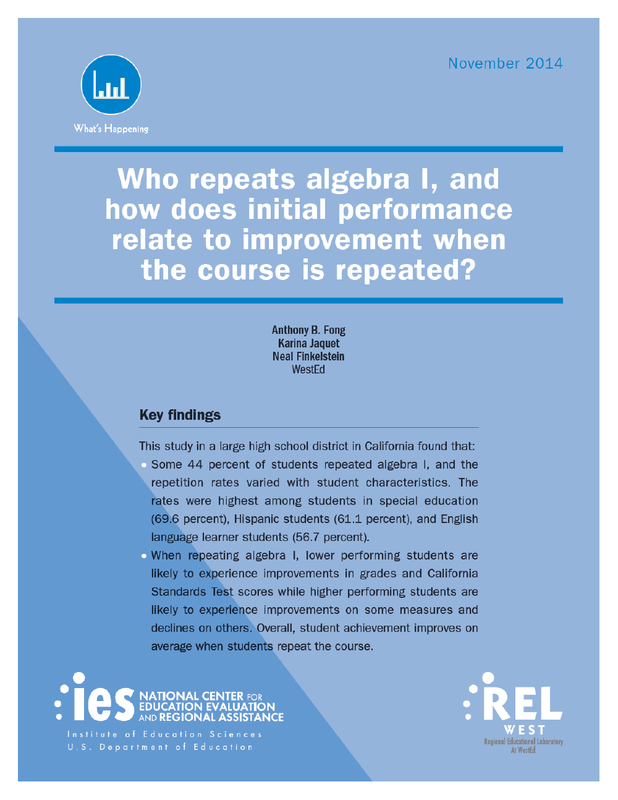 This research brief examines three recent Regional Educational Laboratory West (REL West) studies that shed important light on policies and practices that affect student success in algebra and preparation for higher-level math courses. 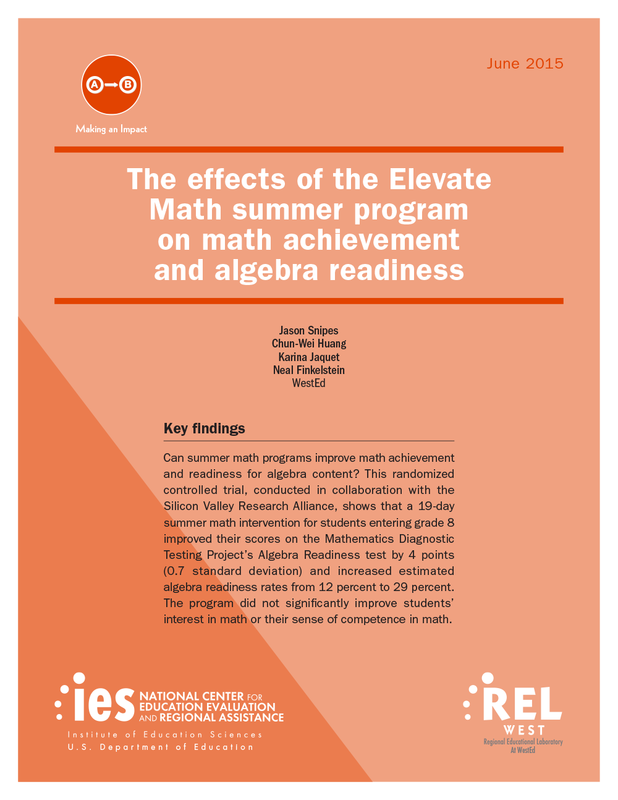 Can summer middle school math programs improve student math achievement and readiness for algebra content? Read the key findings of this randomized controlled trial.